At the beginning of the race to space, the Great Powers had agreed in the UN to refrain from storing weapons in space. However, without knowing whether or not it had violated this principle, the United States then deployed a range of weapons enabling it to destroy enemy satellites; in theory from Earth and not space. In the collective imagination, space weapons are those you find in science –fiction movies such as the Star Wars series. What I find difficult to fathom is, why, even though almost no-one in the media talks about it, they have transitioned to reality. “to organize and train forces to be able to prevail whenever a future conflict may be extended to space”. The responsibility for military space systems lies with the Strategic Command (StratCom), which at the same time is responsible for nuclear-weapons and cyber-arms which are fundamental for the American style of war in every theatre across the whole globe”. So writes General John Hyten, the commander of StratCom, last February. He emphasizes: “our nuclear forces are secure and ready at any moment” and adds that “if deterrence were to fail, we would be ready to use nuclear weapons”. • if the enemy happens to be equipped with such weapons, neutralizing its response. To this end, nuclear weapons, space systems and cyber arms are integrated by the Pentagon into “the full spectrum for the global capabilities for attack”, on earth and in space. On 7 May, after orbiting a Earth for 718 days, the U.S. Air Force’s robotic shuttle (X-37B) landed at Cape Canaveral. This shuttle can manoeuvre in space and re-enter the base independently. The X-37B, on its fourth “top secret” mission in space, probably serves (according to the opinion of most experts) to test out weapons for destroying enemy satellites and thus “to overcome” the enemy when it is under attack. At the same time, laser weapons are being developed, which have already been tested by the ship USS Ponce in the Persian Gulf. On 16 March, Lockheed Martin communicated that it has developed a powerful lazer, which within a few months will be installed on a special auto-vehicle belonging to the U.S. Army for a series of test. Yet again in March, General Brad Webb declared that within a year, an AC-130 airplane will be armed with a laser for attacking land targets. On 3 April, scientists at Macquarie University announced that through their lab work, they have created a superlaser (similar to “Black Death” in Star Wars), for future space applications. In this field, the United States is streets ahead but, as happens with every other system of weapons, other countries, notably Russia and China, are developing similar military technology. In 2008, Moscow and Peking proposed an international agreement to prevent arms being deployed in space; but first the Bush administration and after that the Obama administration refused to enter into negotiations on this matter. 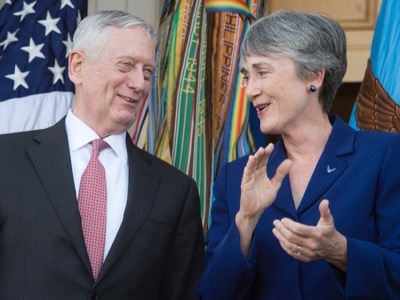 Thus, while negotiations are taking place in the United Nations on a legal ban on nuclear weapons (negotiations in which none of the nuclear powers nor any member of Nato (including Italy) are participating, the race to militarize space is gaining momentum, with the US being the pace-maker. For this race is functional to preparations for a nuclear war.